To love, laughter + happily ever after! Keep the magic hanging around with canvas prints. Pack a lot of love into a little book! 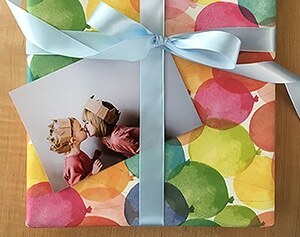 Our cute and compact 8×6″ photo book fits the fullest shelves and can be created on the app with just a few taps! Want something without a lot of fluff? Simple and easy to make, our tabletop panels are a heartfelt gift for your sweetheart. Hold on to a collection of good times with collage designs, or put a magical moment front and centre with tabletop panel designs that feature an entire photo. Prints are in the air! Get 50 free 6×4″ prints a month for a year when you download the Snapfish app – just pay shipping. Available for iOS and Android! Do more with your photo prints! Create a work of art with glitter and glue, or turn them into sweet Valentine DIYs or gifts tags for goodie bags. Discover 5 Creative Ways to Display Your FREE 6×4″ Prints here. Sip on something sweet (and easy to make!) 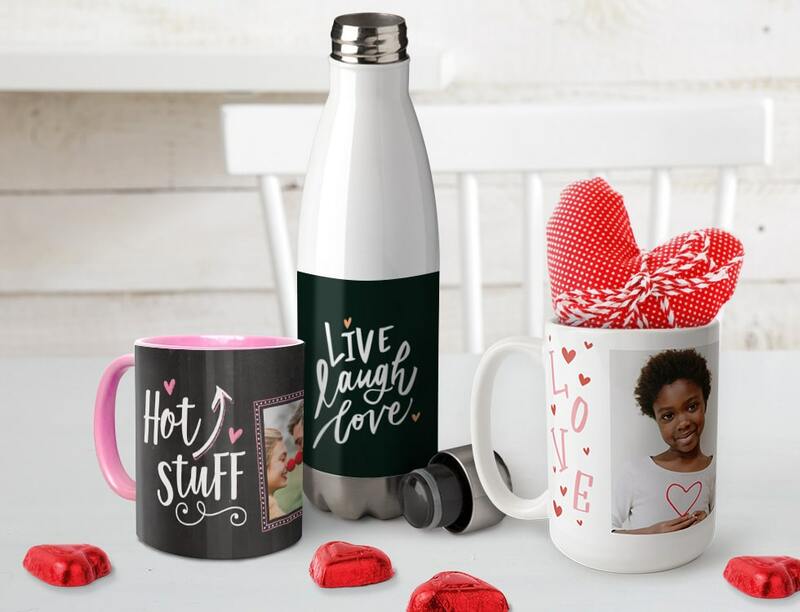 with our custom photo mugs, travel mugs and water bottles. Begin with your favourite photo or customise an entire collage. It’ll have them smiling with every sip. Want a sweet deal to get you started? Check out our Snapfish Deals page for the latest offers and get started now! We love seeing what you make for each other, so share the love on Instagram with #SnapfishUK. Tagged as canvas print, Free prints, Gift, Gift ideas, Home decor, Personalised Canvas, personalised gifts, personalised mug, photo book, Photo canvas, photo gifts, photo mug, photo prints, Tabletop Decor, Tabletop Panels, Valentine's Day Gift Ideas, valentines day.